To completely fulfill the need of our clients we provide wide range of general anaesthesia products. Our range includes guedel pattern airways, c. p. r mask mouth to mouth with silicon mask (adult), c. p. r mask mouth to mouth with silicon mask, corrugated tube, endotracheal connection setlung exerciser, mask head harness black rubber/silicon, non breathing valve, oxygen mask with reservoir bag, oxygen nasal prong ,teeth opener and oxygen mask for adult and child. 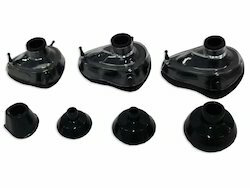 We offer Black Rubber Face Mask is made of black rubber & Latex Free. It is used to use with Black Rubber Resuscitator's. Available Size: 00, 0, 1, 2, 3, 4, 5 No. Autoclavable: 134° C (As per International Standard). 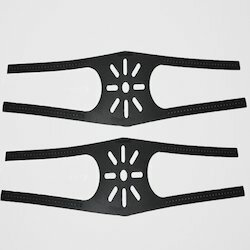 Our company also offers Mask Head Harness black rubber/silicon (adult/child). While producing such product we make sure that we use a fine quality of silicone medical grade rubber & black rubber and other raw material which keeps the face mask in position during use over the face. These masks are available in black and white color as per the requirement of our valuable clients. 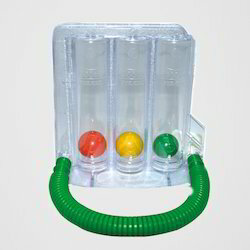 We also provide Lung Exerciser which helps patient to recover the normal respiration after a chest or abdominal surgery. The three chamber design allows the patient to lift the balls without any resistance to achieve the maximum volume in minimum time. We make sure to deliver the best product to our customers. Our company is also engaged in offering Teeth Opener. These teeth opener are made up of fine quality raw material. These openers are very easy to use and are highly demanded in dental industry. 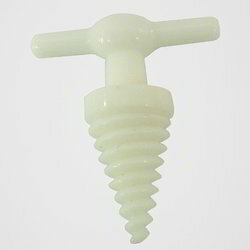 We are one of the eminent Manufacturers, Exporters & Suppliers of a variety of Catheter Mounts. They are disposable and compatible with Filters, Breathing and Ventilator circuits. In addition, the mounts are equipped with elbow ports that provide easy suctioning without causing disturbance to breathing circuits. 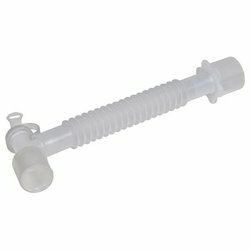 We offer Catheter Mounts in varied specifications to meet different customer requirements. Buyer scan get Catheter Mounts from us at competitive prices. The Catheter Mount is reusable & 100% Autoclavable. 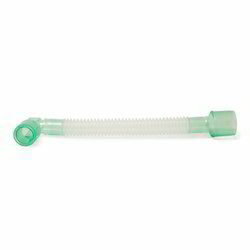 The Catheter Mount 22 mm Standard female connector compatible with Filters, Breathing and Ventilator circuits. An elbow port is provided for easy suctioning without causing disturbance to breathing circuits. 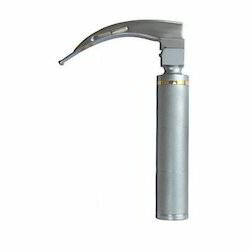 We are also engaged in offering quality range of Laryngoscope Bulb (white light led) for our clients. We are dedicated to supply items which are convenient and practical. Delivering value to buyers is our company's operational principal. We endeavor to stay ahead of the global competition by offering latest products and competent services to meet the demands of markets. It is made of High grade transparent silicone rubber, Latex Free & Auto clavable at 134°C. It can be used with any suction machine or gauge & used directly with manual vacuum extractor for delivery. It is manual. That's why, It can be used without electricity. It is used to use in manual delivery.